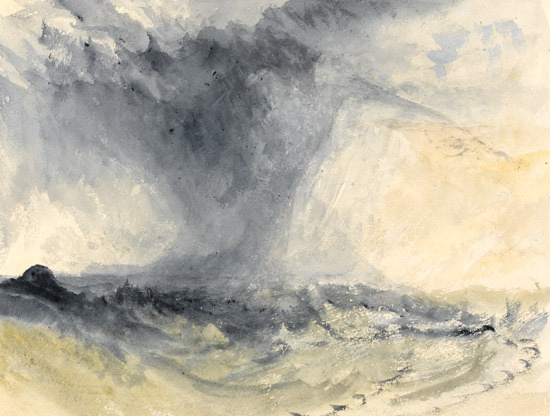 The Fitzwilliam’s recent exhibition, ‘Watercolour: Elements of Nature’, is a concise tour de force, presenting a medium that while often subtle is at its best spectacularly beautiful. 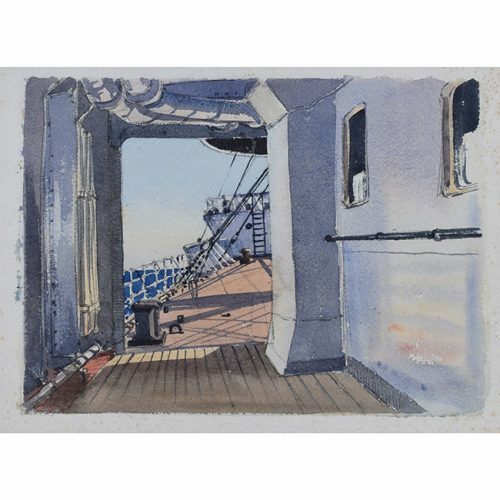 With works drawn from the Fitzwilliam’s own collection, the show traces the history of watercolour from the 16th century to the present day, at the same time showing its vast technical range and adaptability. 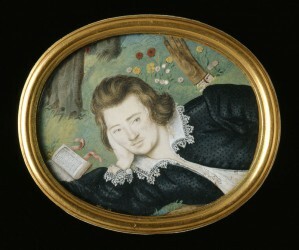 At one extreme are miniatures, with examples by Nicholas Hilliard (‘Henry Percy, 9th Earl of Northumberland’, c.1595, above) and Isaac Oliver, the watercolour portraits painted onto ivory or vellum with brushes of only a hair’s breadth. 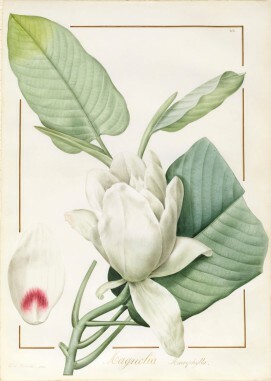 Plants were studied with similar precision; a Magnolia painted on vellum (1811, below right) by the famed botanical painter, Pierre-Joseph Redoute, looks so immaculate it is difficult to discern any brushstroke at all. 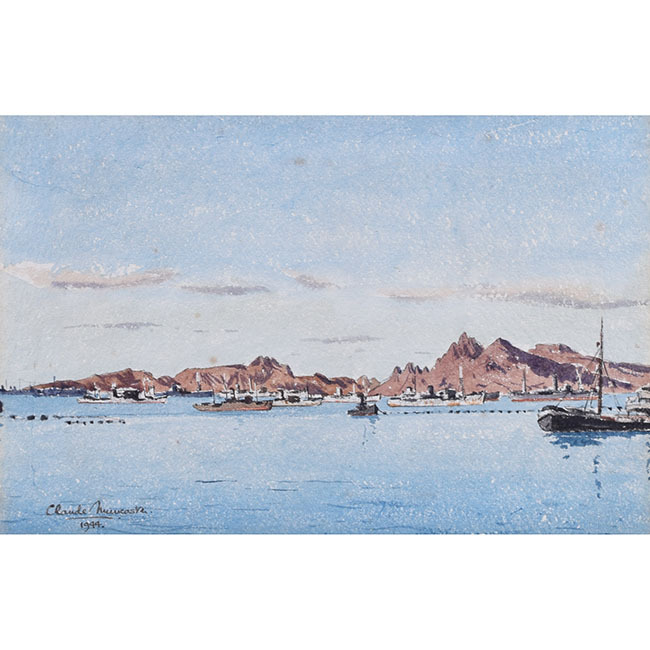 Gum arabic was frequently mixed with the paint to give a glossier and more transparent effect as well as heightening the intensity of the colours. It was in the 18th and 19th centuries that watercolour reached its peak. 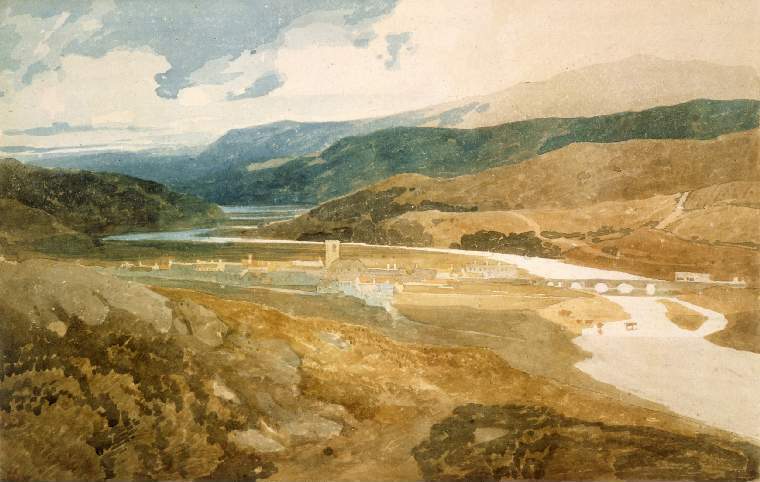 Alexander Cozens’s paintings illustrate his radical ‘blot technique’ by which he encouraged his students to create landscape compositions from the imagination by starting with a blot of ink or watercolour (earning him the nickname ‘Mr Dingy Digit’!). This echoed a move away from the rigidly topographical towards ideas of the ‘sublime’ and Romanticism, which became fashionable in art and landscape design in the late 18th century. 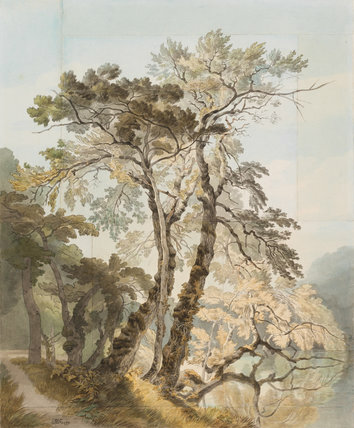 John White Abbott, a pupil of Francis Towne (the stunning ‘The Source of the Arveyron’, 1781, was shown at the recent Tate Watercolours exhibition), shows the influence of his master in his use of pen and ink outlines with a thin colour wash, for instance in ‘Trees at Peamore Park, Exeter’, 1799 (left), which flattens the forms making them both decorative and slightly ethereal. 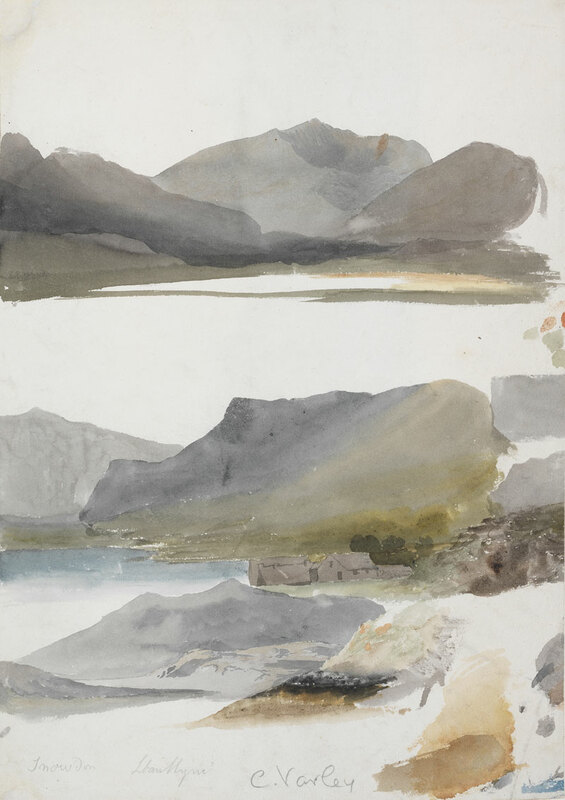 Cornelius Varley’s ‘Three Studies of Mount Snowdon’ of c.1805 (right) shows even looser and more experimental brushwork. 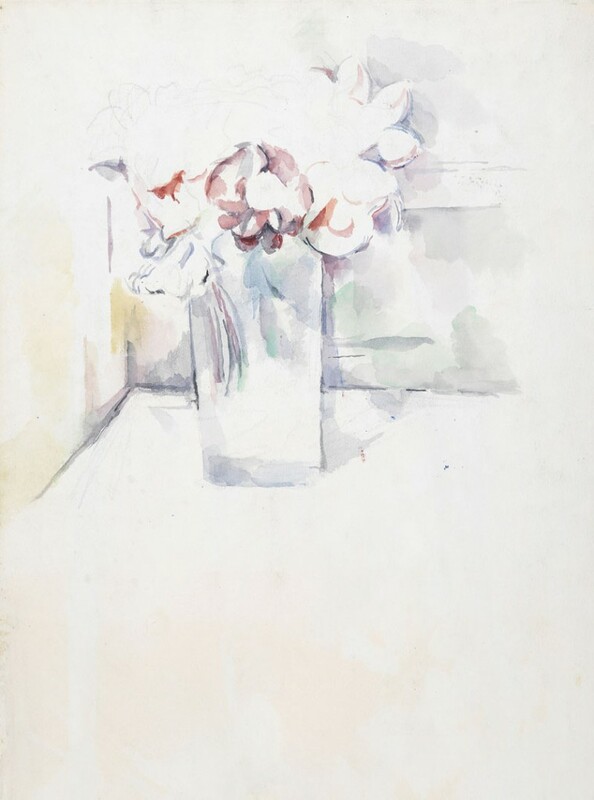 Designed as a sketch and therefore not comparable to the finished pieces next to which it hangs, it is nonetheless fascinating to see the artist playing with watercolour’s unique capacity for the graduation of colour tones. 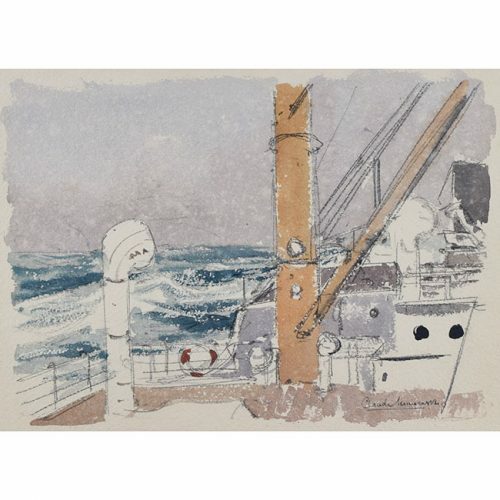 Peter De Wint is an artist I knew little about, but who, along with David Cox, was one of the great English watercolorists. 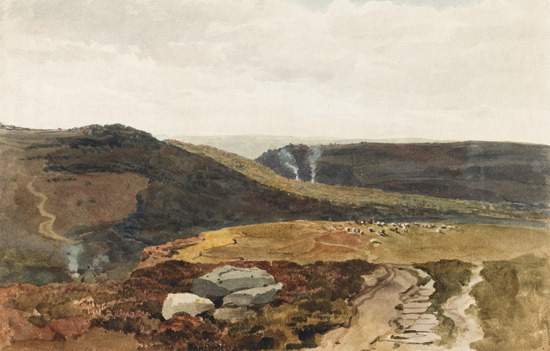 Examples of both artists’ work are chosen to show their use of variously textured papers – Cox used ‘Scotch’ wrapping paper for its rough texture and dark flecks – and paint used on a dry brush, diluted or with gum arabic, to achieve different results that bring alive the contrasts within their landscapes (Peter De Wint, ‘Yorkshire Fells, c.1812, watercolour with gum arabic, below). I have always loved John Sell Cotman, whose style I associated with that of Francis Towne; here some very different works are picked out in which he uses a thickening agent to create much more intense colours than the typical pale washes of ‘A Shady Pool’ or even ‘Dolgelly’ (1804-5, below top). ‘Postwick Grove’ (c.1835-40, below bottom) and ‘Bass Rock’ both use a deep turquoise shade to turn the pallid idyll of an English afternoon sky into a vivid, dusky, almost mystical firmament. 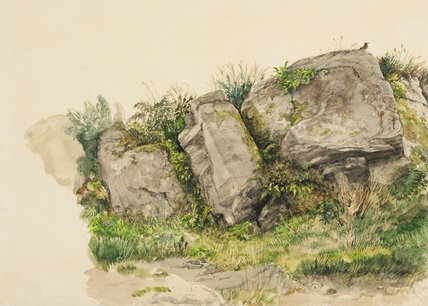 Several artist focus closely – like the earlier botanical painters – on the tiny details of nature; William Dyce’s ‘A Landscape Study of Rocks and Grasses’ is as immaculately observed as Durer’s famous ‘Great Piece of Turf’ (1503) while Ruskin’s ‘In the Pass of Killiecrankie’ (1857) uses watercolour with a more opaque bodycolour on board to evoke the rocky banks of a Scottish burn – every minute crack of granite and frond of heather is extolled in paint. Samuel Palmer also mixes his paint with gum arabic or similar medium in ‘The Magic Apple Tree’ (c.1830, left), using this alongside Indian ink to create vivid colours that achieve a depth, solidity and substance at the centre where the apples cluster. 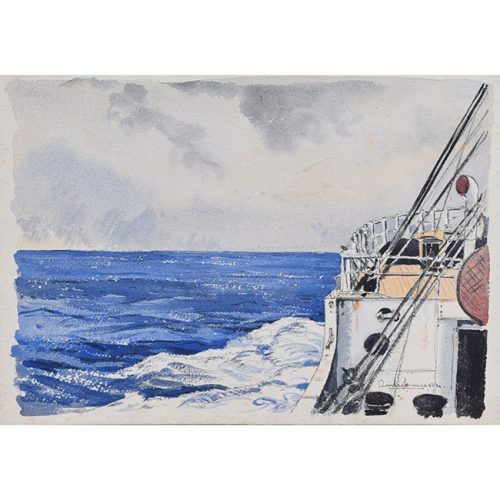 Palmer was a follower of William Blake whose visionary subjects and technical experimentation he inherited, standing apart from the mainstream British landscape watercolour tradition. John Linnell, who introduced Palmer and Blake, is also featured, though his lovely ‘Sunset’ (1812) is without the strange otherworldliness conjured by his colleagues. 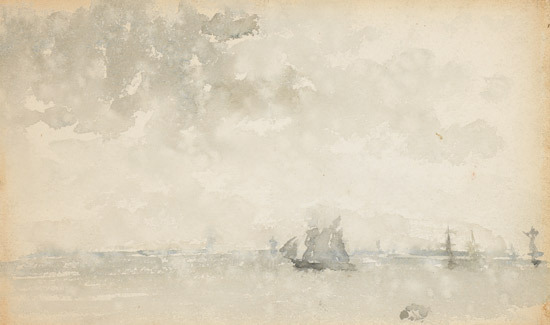 Then of course there is Turner, master of the watercolour. 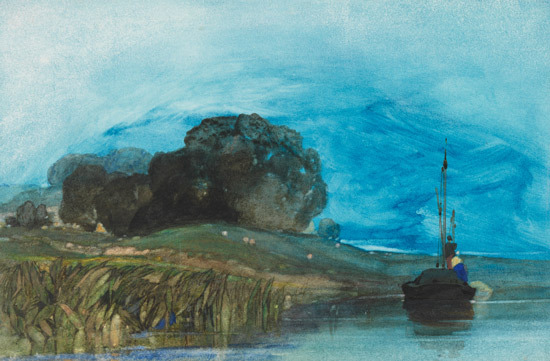 Here there is only ‘Shakespeare Cliff, Dover’ (c.1825, above) to represent him – though an excellent choice to show how his twin interests in the effects of nature and the use of watercolour as a medium sometimes resulted in almost abstract, highly expressionistic compositions that were well ahead of his time. 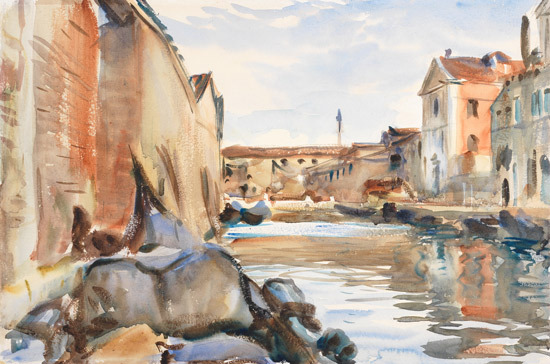 (There was, however, an room adjacent dedicated to the Ruskin bequest of Turner watercolours, full of exquisite examples such as ‘Brunnen, Lake Lucerne in the Distance’ 1841-3, ‘Orleans, Twilight’, c.1826-31, and ‘Venice from the Lagoon’, c.1840). 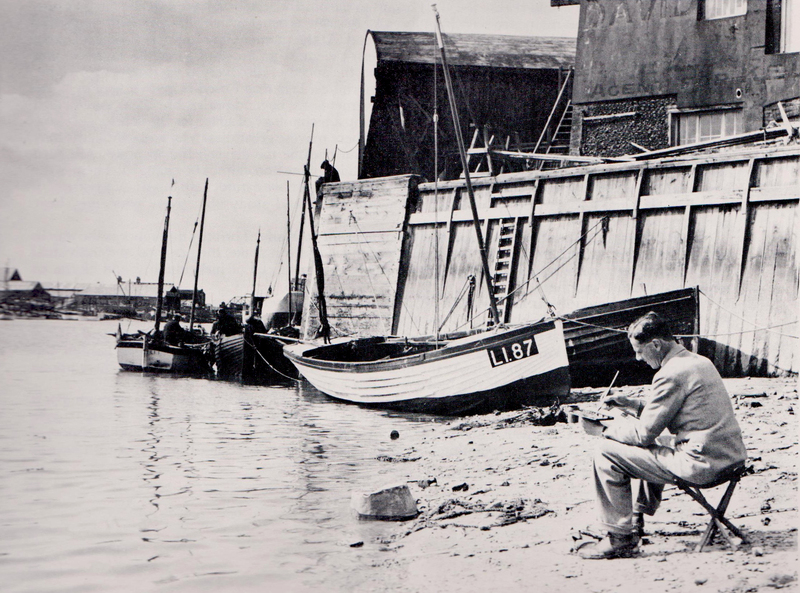 Appropriate then that he should immediately precede the French and English Impressionist and Post-Imp watercolorists. This last, ‘modern’, section of the exhibition is disparate – but understandably so, as art diverged in the late 19th and early 20th century into so many different movements. And it doesn’t matter given the objective of this show – rather, considering that it represents the Fitzwilliam’s own collection, is says a lot for the eye the purchaser and the calibre of bequests – for each work selected illustrates an outstanding mastery of the medium, each in an entirely different style running the gamut from fluid washes of sunlight or mist made solid through to carefully composed still lifes emerging from a void of white paper. (John Singer Sargent, ‘Giudecca’, 1913, above; Whistler, ‘Grey and Silver, North Sea’, c.1884, below). Pissarro’s landscape studies of Eragny and Gisors in springtime sing with limpid colour redolent of sunlight after rain; Signac’s Mediterranean scenes of boats in harbour place colour in careful harmony, a light-handed lesson in Chevreul’s theories; Cezanne’s ‘Still Life – Flowers in a Jar’ (c.1890, below left) uses pale tints of watery colour to outline the skeleton of his composition, leaving the bare space to speak of volumes. 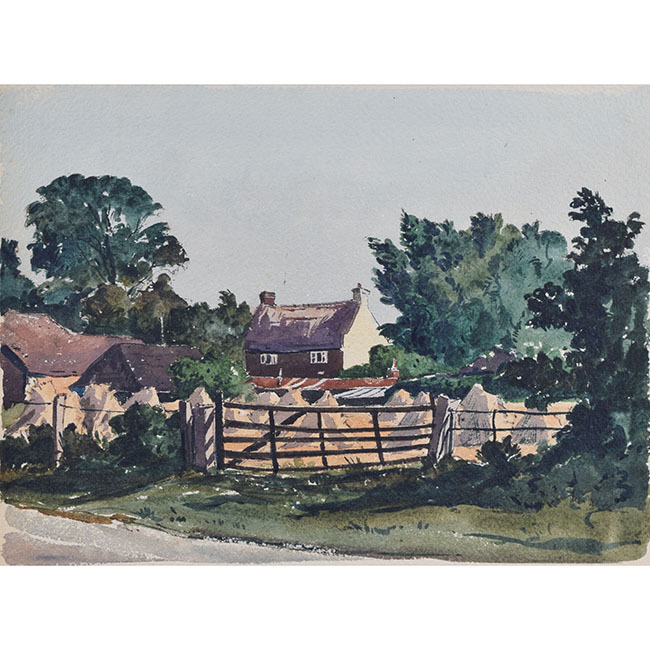 Philip Wilson Steer, a leading British Impressionist and founder of the New English Art Club, now out of fashion and usually overlooked, is represented by a loose watercolour sketch, ‘Chalk Pits, Painswick’ (1915) – a short reprieve from his war work as an artist with the Royal Navy. 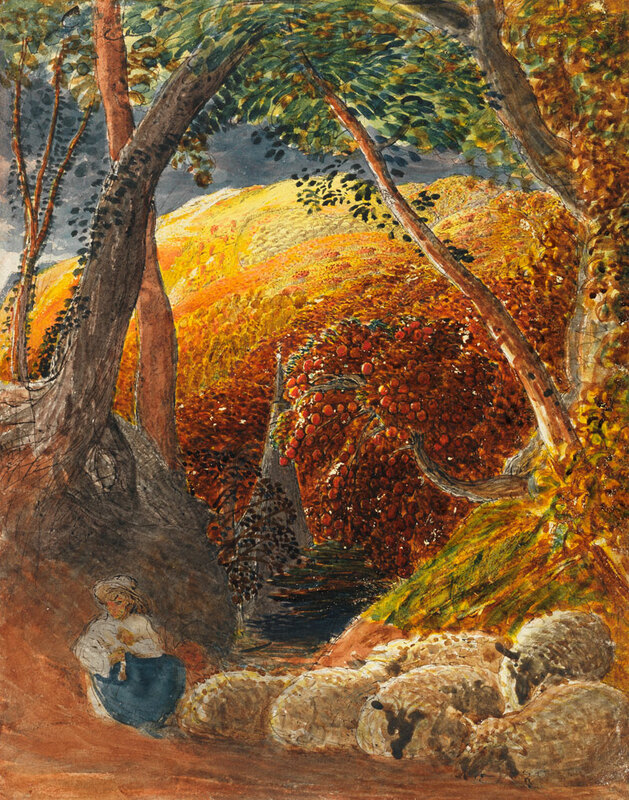 British Modernism is represented by Paul Nash’s ‘Monster Field Studies’ – surreal, anthropomorphic postwar depictions of the ancient landscape of southern England – and by David Jones’ intricate yet ephemeral interior ‘The Shepherdess’ (1930); the contemporary finale by a lone Barbara Rae abstract that looked a bit lost by the door. I had peered in at every painting, initially interested in the technique, then transfixed by its small, beautiful, unknowable world; an hour later I had reached the far end of the room and left with energy and inspiration.